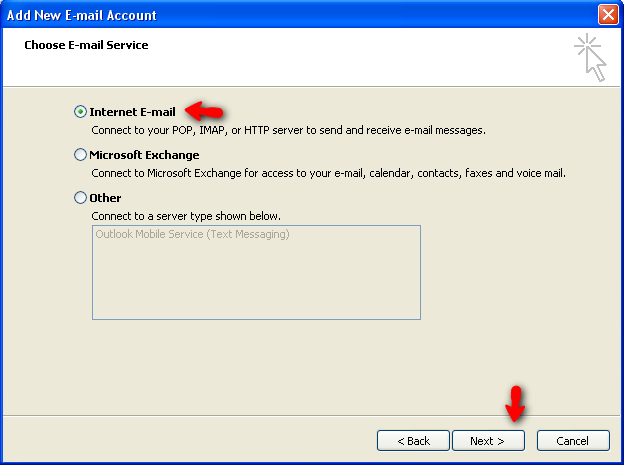 This tutorial illustrates how to setup your standard internet email service using either the POP3 or IMAP protocol in in Microsoft Outlook 2007. To learn more about the different types of email solutions on offer please read Getting Started with Email Services. 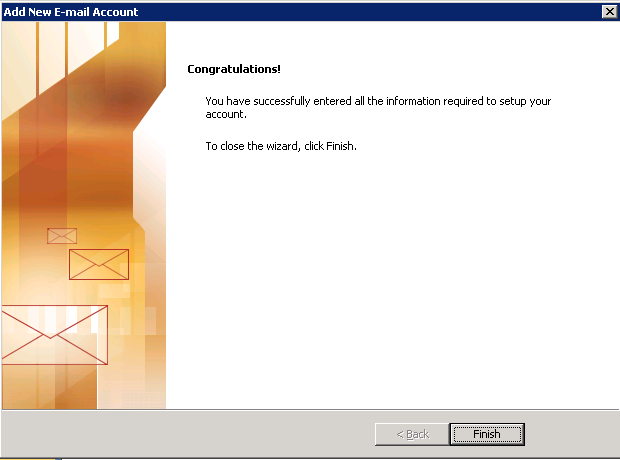 Open Microsoft Outlook 2007. 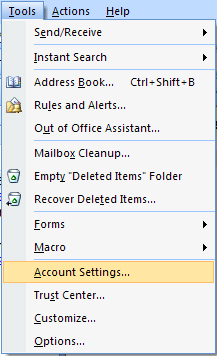 Click on the the Tools menu at the top and choose Account Settings. 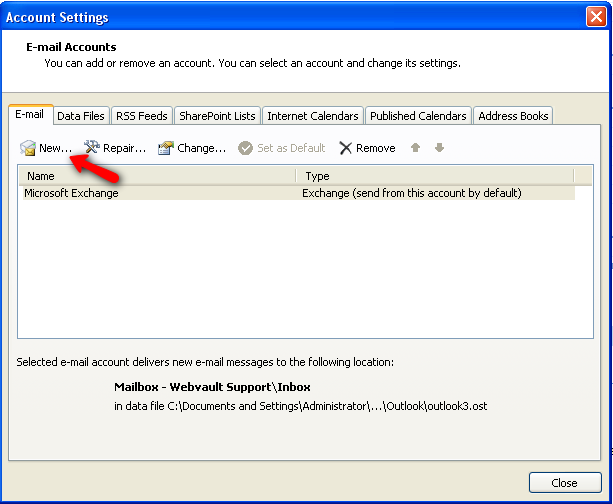 In the Account Settings dialog box, on the E-mail tab, click the New.. button. 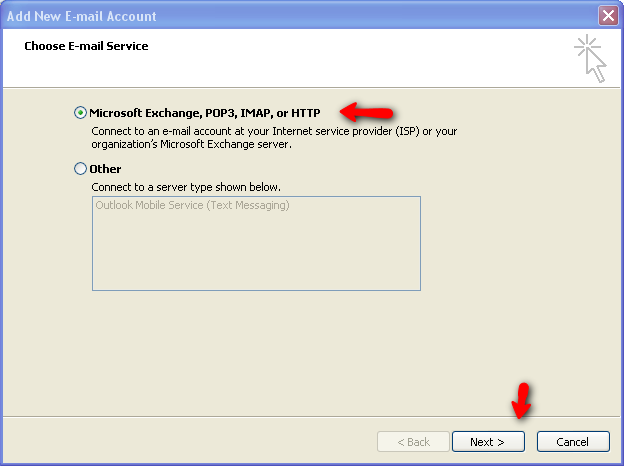 On the Choose E-mail Service page, select the Microsoft Exchange, POP, IMAP, or HTTP option and then click Next. 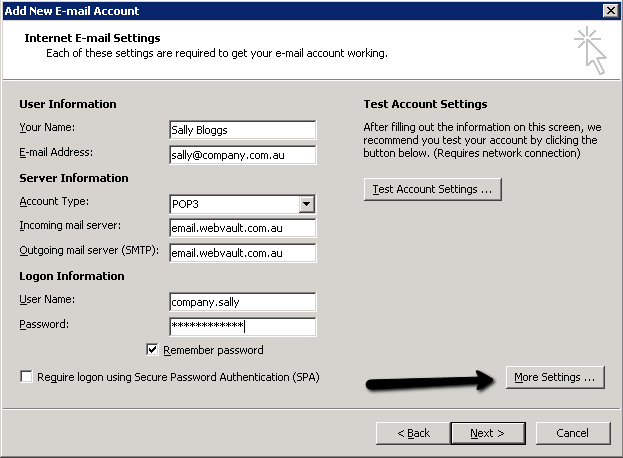 On the Auto Account Setup page. Do NOT enter any settings. 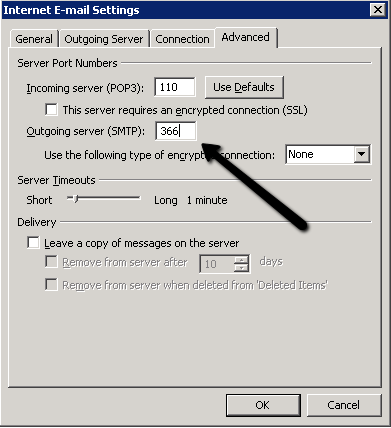 Instead tick the Manually configure server settings or additional server types check box. Click Next. 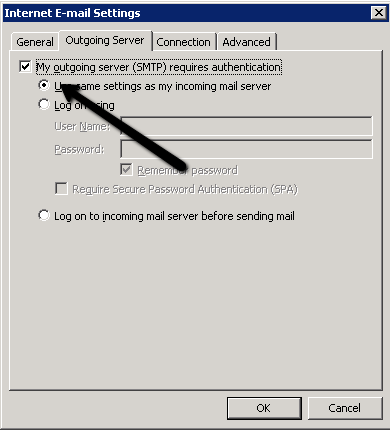 Choose the Internet E-mail option and then click Next. 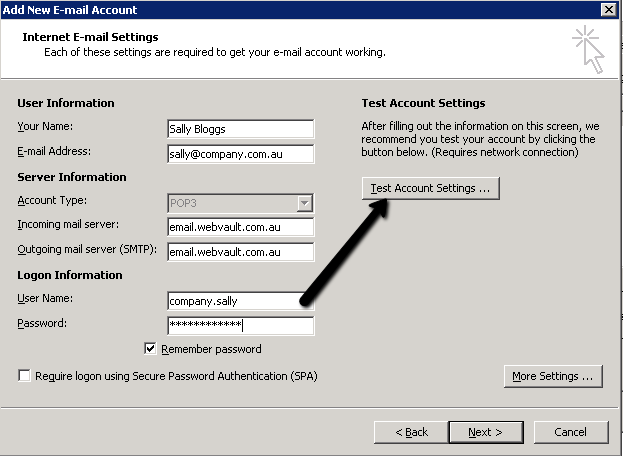 On the Internet Email Settings page, click Test Account Settings to test your email configuration. 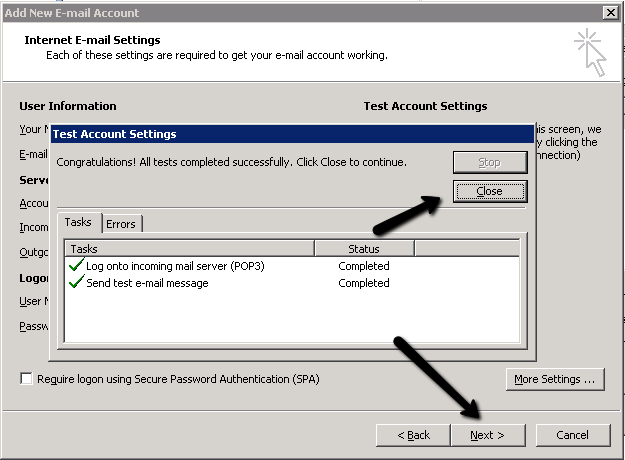 If all tests show as successfully completed, click the Close button, and then click Next. If your tests do not complete successfully, please go back and check you have entered each setting correctly. If you are unable to complete all tests without an error please contact your service provider for assistance.